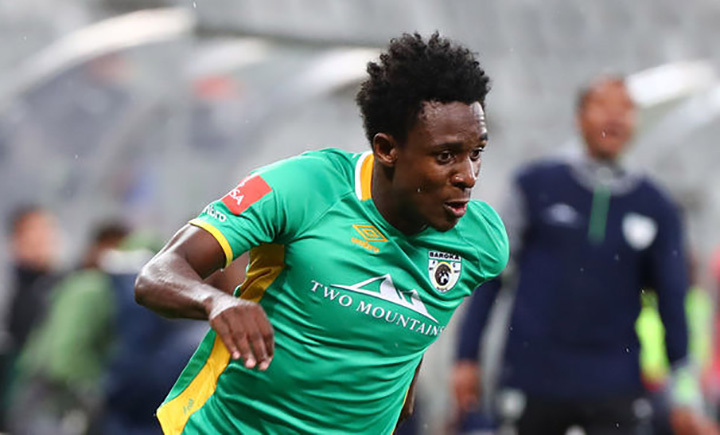 ABSA Premiership side Baroka FC have dismissed the reports suggesting that a rift has developed between head coach Wedson Nyirenda and Talent Chawapiwa. According to Kick-Off.com, Chawapiwa is not happy with some public utterances made by Nyirenda. The Zimbabwe international has allegedly been dropped from the squad that will face Free State Stars at Peter Mokaba Stadium tonight. “The player is not injured, he was dropped,” a source revealed to the website. “They didn’t explain anything to him. Last weekend he played and then he was substituted. No one knows exactly what is happening, but the boy loves the club. Maybe they have got issues with him, for him to be dropped in the team without any explanation. Club CEO Morgan Mammila, however, defended the player saying people were reading too much into the coach’s recent statement that some players in the team are not pulling their weight. “No, how can a player and a coach not see eye-to-eye and the coach plays the player? “Talent, when we played Chippa he was sick just a few minutes before the game because the coach trusted the player he played him. And the last game (against Orlando Pirates) he played, so I don’t know where these people get the story. “Obviously maybe they misunderstood him when he said some players they are not pulling up their socks. Or maybe because the previous game it was not the Talent that we all know. Even the media, that’s why they were not throwing a question of Talent to him because they could see all of them that he is not the Talent that we all know,” said Mammila.